To face the future in our rapidly changing world with confidence, our children need to develop emotional stability, intellectual flexibility, and moral values along with academic skills. Children learn differently at different stages of development. This means that the curriculum of each grade is carefully chosen to work in harmony with the phases of the child’s inner development. In the first eight grades of school, children encounter the main branches of human knowledge. During that time, they also form their sense of self and their attitude toward others and the world around them. In short, they lay the foundation for their future striving and development. It is the aim of our education to make their foundation resilient and broad. The children participate in choral and instrumental music, express themselves through drama and a variety of other artistic media, practice hands-on skills such as knitting, gardening, and woodworking, and enjoy physical education in addition to solid academic subjects such as English, history, geography, mathematics, and the sciences. Children learn best if they love their teacher. When children enter Grade 1 at The Garden School, they meet the person, who ideally, will teach them the core curriculum for the next eight years. The relationship between teacher and child is constantly evolving and deepening, and provides a continuity often lacking today. Mutual trust and confidence allows the development of an authority that is not arbitrary and to which children respond without aggression or resentment. In this way, parents and teachers can work together over long periods of time, orchestrating their efforts to meet the changing needs of the child. Each day begins with a two-hour period devoted to a single academic subject when the children’s concentration is at its peak. One topic is studied for three or four weeks and then a new topic is begun. This method allows the teacher to cover a subject in-depth, using a variety of approaches. Moving into the upper grades is an exciting time in a student's academic life, when the strong foundation built in the early years allows for rapid acceleration. Students participate in special activities that nurture their sense of adventure and exploration, and reflect their growing individuality and critical-thinking skills. In addition to the daily foreign language classes begun in kindergarten, upper grades students now choose a third language to pursue through guided study with the intention that they will be fluent in all three languages (Spanish, Mandarin, and the language they have chosen) by the time they graduate 8th grade. 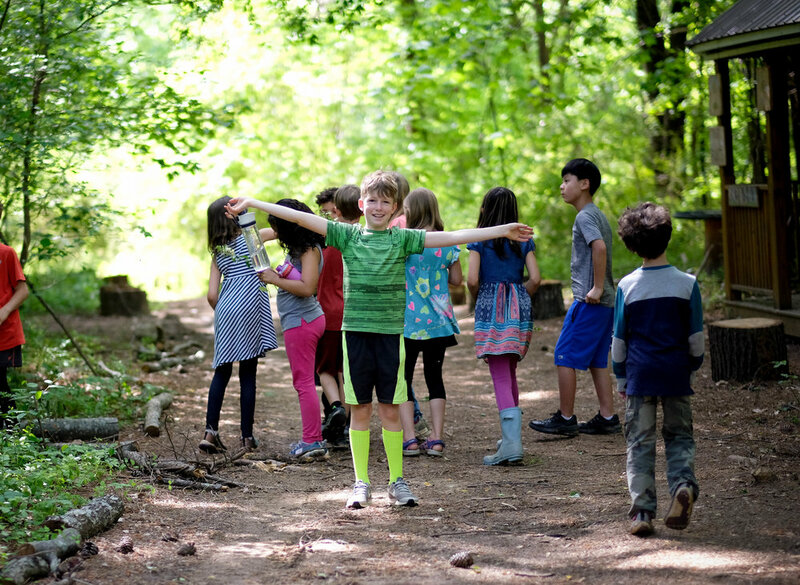 The best way to make an informed decision about whether or not your child should attend The Garden School would be to attend a guided tour or open house.